The New Generation Hyundai i30 has be designed as a car for everyone – single people, families, young and old – and will appeal to those who value great design, efficient engines and a dynamic yet comfortable ride combined with the very latest safety technology. This is backed up by a guarantee of reliability with Hyundai’s industry-leading 5 year, unlimited mileage warranty. The New i30 features Hyundai’s now signature cascading grille which features chrome-plates dots and a satin chrome surround to give the car a premium appearance. All models come equipped with vertical LED daytime running lights to help the car stand out both day and night. Selected models also feature full LED headlights enhancing visibility at night to improve safety. The car has short front and rear overhangs, a long bonnet and a tapered roofline to provide both a sporty appearance and a solid stance when out on the road. All models feature a gloss black rear spoiler that adds to the car’s sporty design. However, the New Hyundai i30’s design is not all style over substance. The car has a drag coefficient of just 0.3, one of the lowest in the segment, which helps to reduce wind noise when driving and reduces fuel consumption. This is achieved by an Active Air Flap behind the front grille, Air Curtains on each side of the front bumper and a rear spoiler to enhance airflow and reduce turbulences. Step inside the New Generation i30 and you will find a cleanly designed, intuitive to use interior built from high-quality materials with chrome accents and offering plenty of space. The floating screen located on the dashboard provides access to many of the car’s features with the optional 8-inch version being used to control navigation, media and connectivity features. The screen’s location means that controls are within easy reach and the driver’s eyes spend more time on the road, helping to improve safety. The New i30 offers plenty of space for both passengers and their luggage and offers segment-leading roominess. The feeling of interior space can be further enhanced by specifying the optional panoramic sunroof which floods the cabin with light. The i30’s boot offers generous luggage capacity of 395 litres with the rear seats in place, rising to 1,301 litres with them folded. Practicality is further enhanced by a moveable boot floor and ski-hatch in the centre rear seat. The New Generation Hyundai i30 comes with a choice of downsized engines – two petrol and two diesel – all of which offer a dynamic driving experience and excellent efficiency. The choice of petrol engines is between the 1.4 T-GDI turbocharged four-cylinder engine – a Hyundai first – with 140 PS or the 1.0 T-GDI turbocharged three-cylinder engine with 120 PS. Both diesel engine options are 1.6-litre turbocharged four-cylinder diesel units with a choice power outputs – either 110 or 136 PS. CO2 emissions start from as low as 99g CO2/km. With testing carried out at the Nürburgring Nordschleife, one of the most demanding race tracks in the world, the New i30 has been designed to handle the worst European roads can throw at it. The steering is precise with a natural feel while providing a connected feeling to the road.  The car’s handling is both responsive and agile while remaining predictable making the car easy and relaxing to drive. The completely redesigned chassis provides a fun and dynamic driving experience without compromising high levels of ride comfort. The New i30 offers a choice of the standard premium audio system with a five-inch touch screen with integrated rear-view camera, Bluetooth connectivity and My Music functionality or the optional new generation navigation system with an eight-inch touch screen. This larger-screened option is perfect for drivers who want to connect their smartphones as it provides both Apple CarPlay and Android Auto functionality. These systems enable users to connect their devices to deliver and control music, telephone or navigation functions on-screen. The new navigation system comes with a seven-year free subscription to LIVE services which provides updated information in real time about weather, traffic and speed cameras as well as online searches for points of interest. The New Generation i30 features the latest active safety features to comply with the highest European safety standards: Autonomous Emergency Braking with Front Collision Warning System, Smart Cruise Control, Blind Spot Detection, Rear Cross Traffic Alert, Lane Keeping Assist System, Speed Limit Information Function, High Beam Assist and Driver Attention Alert. It’s not just active safety equipment where the New i30 scores. The increased use of high-strength steel has improved the car’s rigidity and high impact energy absorption. A total of seven airbags are fitted, including a knee airbag for the driver which offers additional protection for the driver in the event of a front collision. If you need more room than the i30 Hatchback offers, then the i30 Tourer is for you. The i30 Tourer combines stylish design with space and versatility, making it the perfect choice for those looking for a practical car without sacrificing stylish design. With the rear seats in place, you will find 602-litres of space, fold them down and that increases to a commodious 1,650-litres - enough space for the largest of loads whether what you are transporting is for business or pleasure. If you want your Hyundai i30 with even more style, then the i30 Fastback is the car for you. Featuring the same underpinnings as the i30 Hatchback, the i30 Fastback’s body features swooping, coupe-like lines while still retaining the practicality if a 5-door hatchback. At the front the now-familiar Hyundai Cascading Grille has been shortened to give the car a wider, more muscular appearance. The roofline has been lowered by 30mm, again to give the car a winder stance, while the lines that are swept upwards at the rear of the car finish off the coupe-like look. The i30 Fastback is available in three trim levels: SE Nav, Premium and Premium SE, with specifications mirroring the i30 Hatchback and Tourer models. The 1.0 T-GDi and 1.4 T-GDi petrol engines are also carried across from the i30 Hatchback and Tourer.